Plea: West Mercia want the people of Redditch to be safe. Unicorn Hill: Redditch cops on patrol. 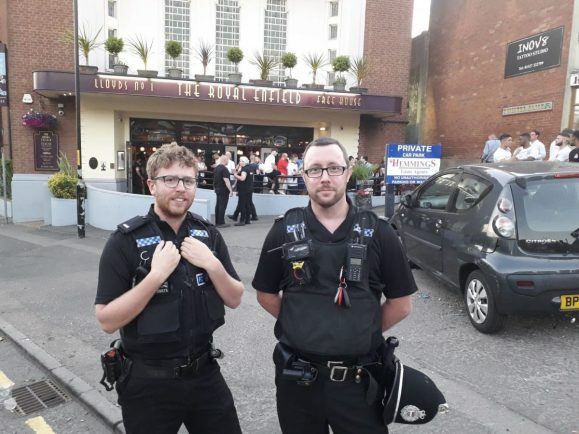 WEST Mercia Police have to moved to reassure the Redditch community that there will be increased police patrols in operation for the remaining world cup fixtures. The decision to increase numbers came after yobs were seen ‘surfing’ a Diamond Bus down Unicorn Hill after the England victory over Panama. In the future, a police van will be deployed in the area to stop incidents like this from occurring. The increased patrols in Redditch is part of a force-wide initiative to tackling any violence or disorders during the tournament. Inspector Mark Chappell, from Redditch’s Safer Neighbourhood Teams, said: “We want the community to come together and enjoy the football. 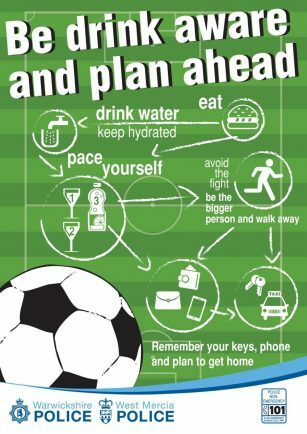 “But after England’s qualifying rounds we did see an increase in football related incidents within Redditch and those involved spoil the enjoyment for the wider community. “I want to remind people that we will be taking a robust and positive approach to those individuals who think they can use the tournament as an excuse to commit crime and create disorder. If you see a crime take place, report the incident by calling 101 or anonymously via crime-stoppers on 0800 555 111.